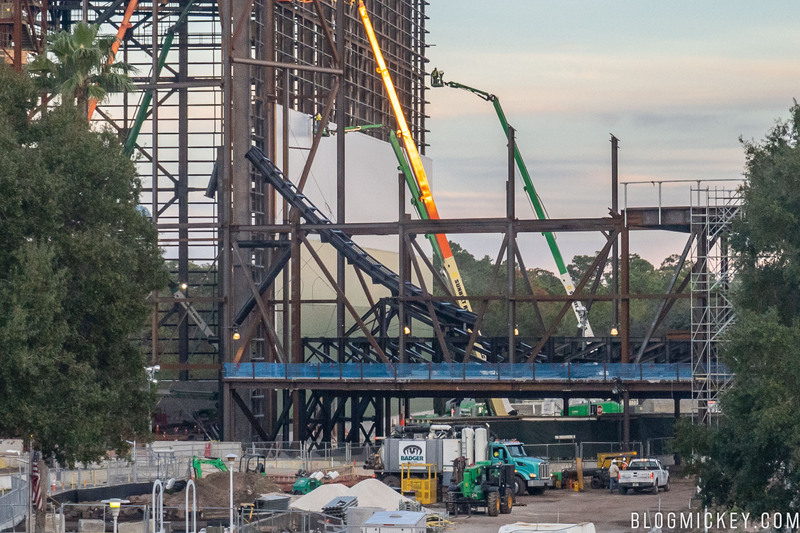 The first section of the Guardians of the Galaxy roller coaster track has been installed at Epcot. The track, seen below, is a sharp vertical section that is at the entrance to the large gravity building. After a unique launch, guests will be sent speeding through the launch tunnel, and it appears that they will immediately experience some G-force as they enter the massive show scenes in the gravity building. We’ve known that the track pieces were in route since July, and that they’ve been in Orlando for weeks, but this is the first time we’ve seen them installed. For more on how the launch tunnel will interact with the Universe of Energy pavilion, check out our post from October 2017. The Guardians of the Galaxy roller coaster is expected to open in time for the 50th Anniversary of Walt Disney World in 2021. 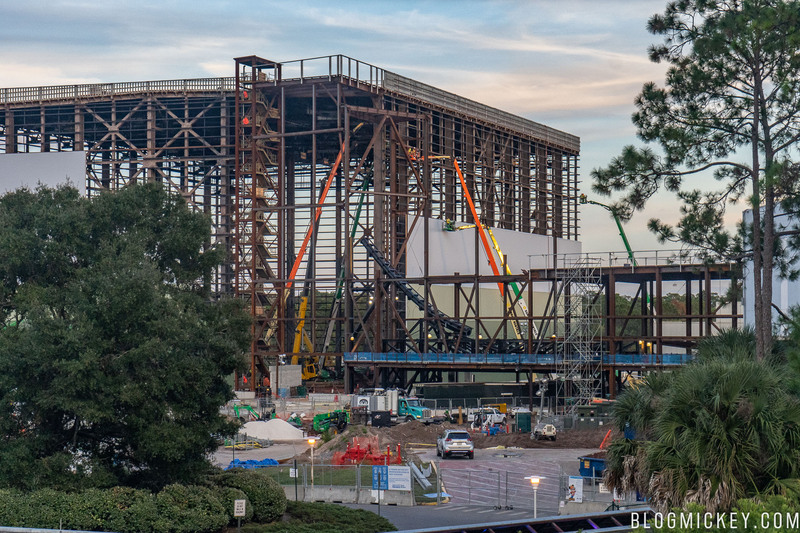 The pictures of the tracks for the guardians of the Galaxy ride in Epcot is awesome. And I can’t wait to ride it for the 50th Birthday of Walt Disney World Resort.